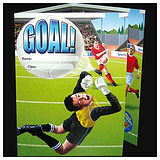 Reward your German language learners with these colourful stickers featuring football action images. Featuring the phrase 'Prima!' you may score some brownie points for awarding these! Football Crazy? 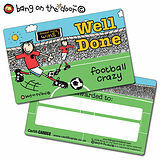 Football Mad? - View more football products here. 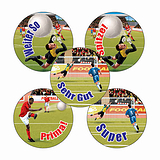 These stickers are part of our German range.